The saying “the buck stops here” derives from the slang expression “pass the buck” which means passing the responsibility on to someone else. 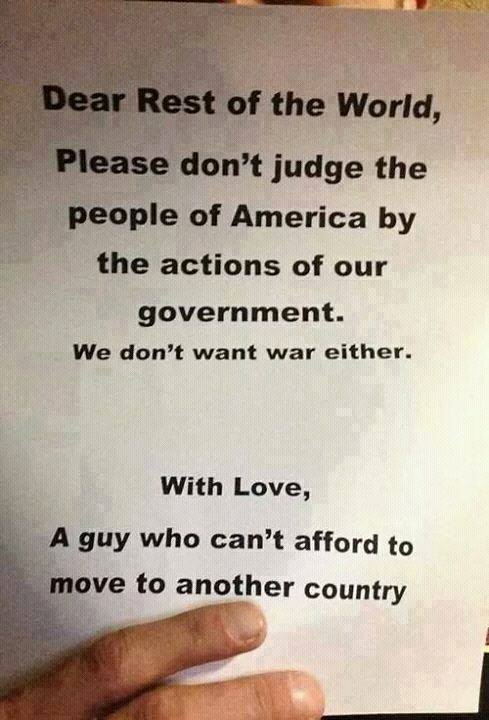 Don’t like what our government does? Then lets kick them out of office and start over from the beginning. If you can’t do that then quit whining how bad it is and quit posting photos to tell the world you love them and it is not our fault. If it is not our fault then whose fault exactly is it?